Gratton is an expert outfitting megayachts with complete electronics systems, having serviced and installed equipment on thousands of vessels with Martek of Palm Beach, which closed in 2018. During his tenure at Martek and on NMEA's board, Gratton pioneered service standards for marine electronics professionals through master dealer programs and technician certifications. Among other niches, Gratton's wheelhouse is navigation and communications systems, entertainment and control systems, IT and networking systems, lighting systems, and PLC and vessel monitoring systems. "We continue to expand services and marine equipment sales," said Aaron Leatherwood, president of RMK Merrill-Stevens. "Presently the group represents the entire line-up of Quick Marine products including gyrostabilizer sales service and installation," he said adding, UWL, Nautic Alert, Kymeta and other products for vessel upgrades and refits are part of the yard's line up. Embarking upon a new era of yacht refit and repair with a complete yard modernization program, Leatherwood joined RMK Merrill-Stevens in 2016 after Turkish businessman Rahmi M.Koç bought the mothballed, 134-year-old shipyard in a distress sale. 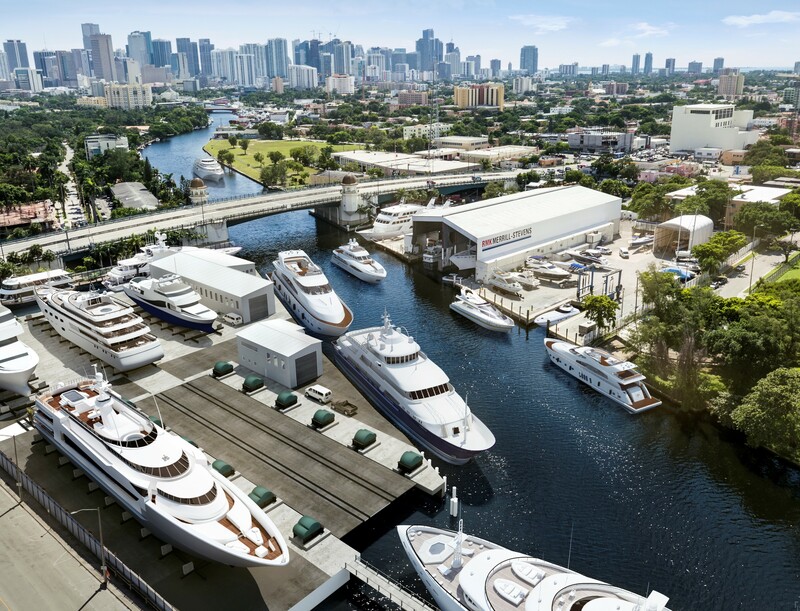 With property straddling both sides of the Miami River, the yard refit is a total transformation from the ground up, one Rahmi Koç, Koç Holding's honorary chairman, told this reporter was "meant to be" during an interview in February, 2017. "Merrill-Stevens was a financially oppressed shipyard," said Koç. "This yard was an American orphan and had been neglected for along time. But it is still a strong brand and I am committed to restoring her to her former glory." RMK Marine, headquartered in Turkey represents less than one-percent of Fortune 500 conglomerate Koç Holding's interests, a family run conglomerate with a turnover exceeding $60 billion. RMK Merrill-Stevens in Miami, FL is personally owned by Rahmi Koç.